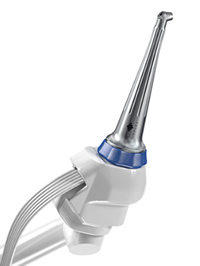 Solea is a powerful laser that replaces the dental drill in the majority of procedures at our practice. Cleared by the FDA for hard and soft tissue procedures, it causes virtually no pain, vibration or noise. Solea is also far less invasive than using a traditional handpiece, which makes healing time following a procedure much shorter. Solea is especially ideal for children, helping them create positive memories of their trip to the dentist. Laser treatments are quiet and quick, so children feel safe, and parents can relax. When patients have anesthesia they typically leave the office feeling numb. With Solea, you don't need anesthesia, enabling you to go back to school or work immediately following your visit. Solea is our way of keeping you smiling. At Po Dentistry, more than anything, we value your health and happiness. Read our FAQs for laser dentistry.